Purkayastha currently is investigating methods for improving engagement in online education, by using guided inquiry learning in the study of health information management. He’s also assisting with a project that’s utilizing virtual reality technology to improve health care delivery for newborns in low- and middle-income nations. On behalf of the World Health Organization, Purkayastha has served as a consultant to ministries of health in the South-East Asia Region for the implementation of health information systems. Countries that were part of this project included Bangladesh, Nepal, Bhutan, and North Korea. 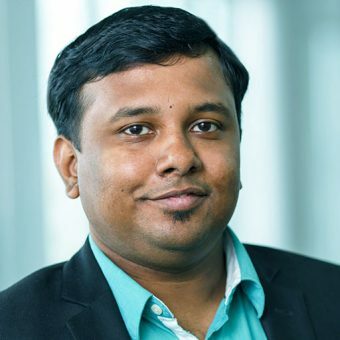 At IUPUI, the researchers he leads at the Purkayastha Laboratory for Health Innovation are working on projects in radiological information systems, biomedical data analysis, electronic medical records, and mobile and population health.